Who ever came up with the idea of Pinterest is a genius. Seriously brilliant. I love pinning my life away… my future home, recipes, things to plan, ways to organize… on and on and on it goes. This recipe came from Pinterest and it turned out so yummy! 1. Preheat oven to 350 F and lightly grease a baking dish with nonstick cooking spray. 2. Heat oil in a small skillet over medium-high heat. Add jalapenos and cook until softened, about 5 minutes. Mix together cream cheese, shredded cheese, and jalapeno peppers. 3. Use a knife to make a pocket in each chicken breast. Stuff pockets with jalapeño-cheese mixture. 4. Mix Panko bread crumbs and taco seasoning in bowl. Whisk egg in a separate bowl. 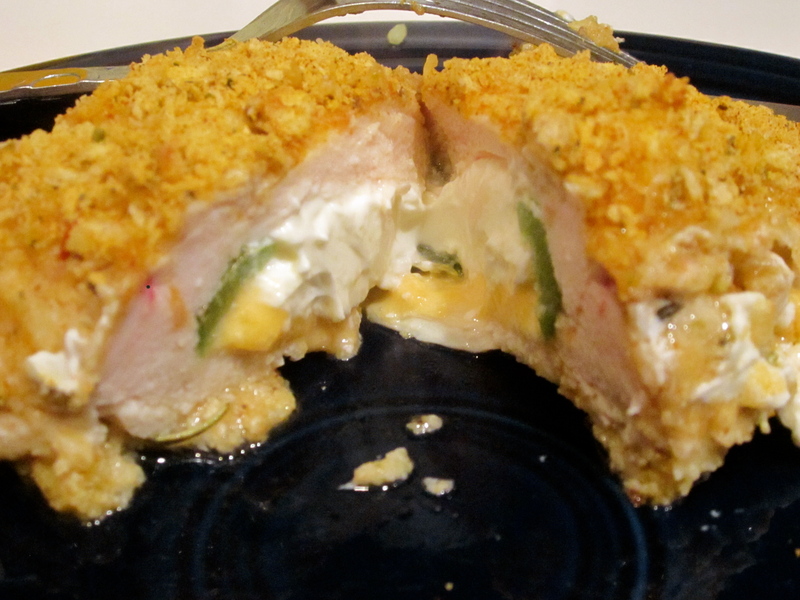 Dip chicken into egg and then into bread crumbs. 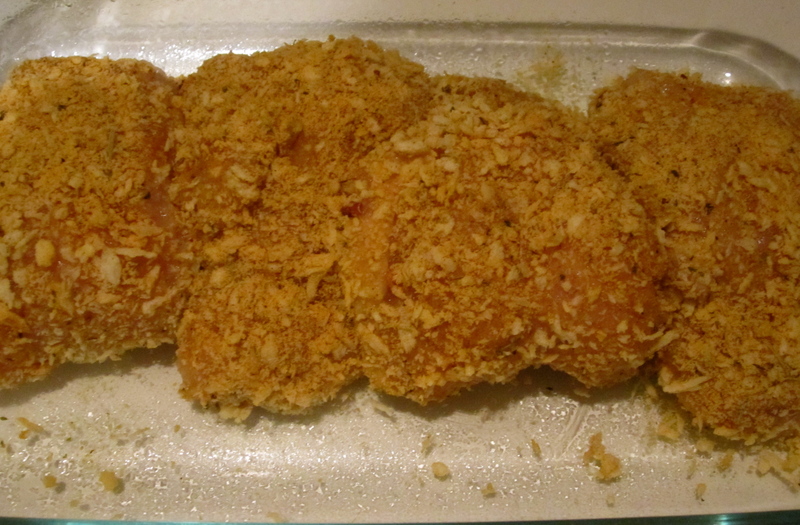 Repeat with all chicken breasts and place in baking dish. Oh yum! Pinterest is addicting for sure. Oh no! Why would someone hack a pinterest account? Thanks again for sharing this recipe 🙂 I was so pleased with how it turned out and husband loved it!